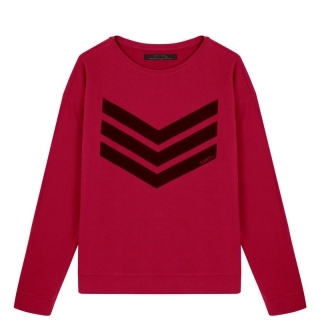 Red sweater with black June 7.2. logo. Sizes: 0=XS, 1=S, 2=M, 3 =L. Large fitting, we advise to choose 1 size smaller.